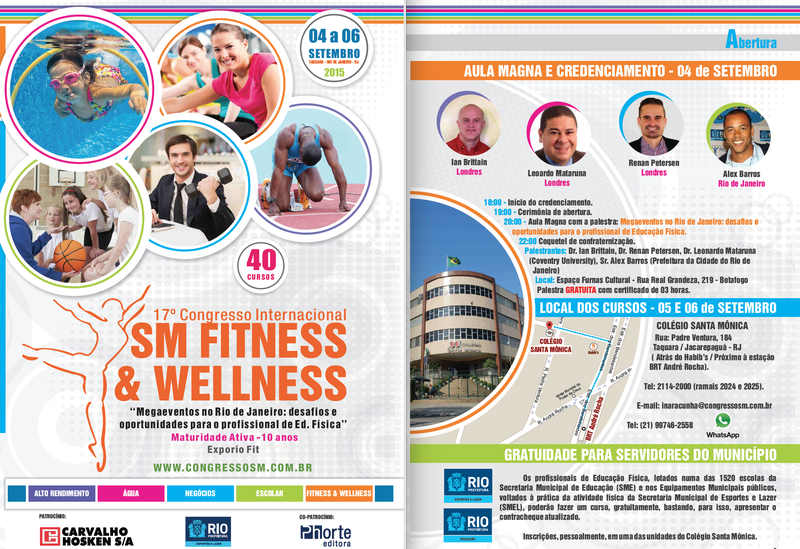 Professor Leonardo Mataruna will attend the 17th edition of the International Congress SM Fitness and Wellness. The event will take place between September 4th and 6th, in Rio de Janeiro. Dr Mataruna will be one of the keynote speakers at the event, along with Dr Ian Brittain and Dr Renan Petersen, both from Coventry University (UK). In the opening lecture, the topic that will be addressed by the researchers will be “Mega Events in Rio de Janeiro: Challenges and opportunities for physical education professional.” In addition to academics, the event is geared toward the physical education professionals who work in the schools of Rio de Janeiro.